I took a quick video of initial progress on the 15mm SCI-FI Terrain project. This is part one of the video tutorial with just an overview of the materials being used. More detail will be provided when I start to glue the terrain down and make progress on the sand texture. 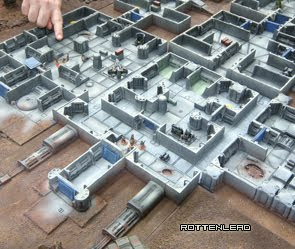 You might spot on the video link that there is an old warehouse in resin on one bank of the board. For those of you that play console games, I am aiming for a layout similar to the Panama Canal level on the PS3 game Battlefield2 Bad Company. This level has a warehouse and factory each side of a dry-dock area and various methods to make your way across the dry dock. I don't have the time or inclination to re-construct the entire panama canal level in 15mm but I do want to create similar objectives and conquest zones. There are a couple of sawn-off Micromachine building parts which are acting as ramps. Check ebay for these, you have to be selective with them but you might find a micro machine military camp with a couple of sections on it that can be hack-sawed off to integrate into terrain. The small blue and white resin "pill box" defence emplacement is from http://www.antenocitisworkshop.com/ and is in their new 15mm terrain range. I have cut out a section of the foam terrain to take the pill box. 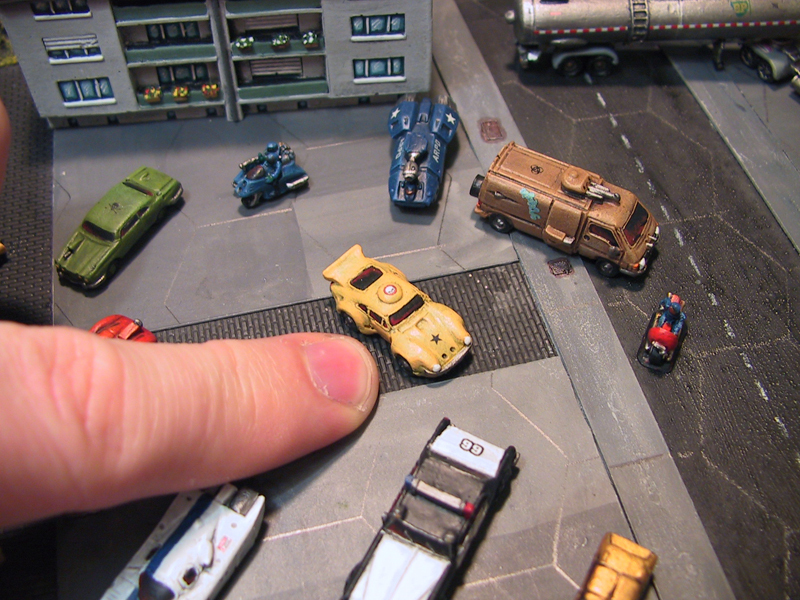 I will be adding more of the Antenociti items to the layout, an artillery emplacement and a larger bunker. The larger bunker might be used as drop on terrain, rather than fully integrated with the high density foam. The large bridge, is the Arnhem bridge from http://www.magistermilitum.com/ They have a range of JR Miniatures 15mm WWII terrain which is stunning. If only they did modern office blocks and not just the WWII items. There really is a gap in the market for 15mm scale modern office buildings, either futuristic or just modern looking enough to be used in a city layout. I love when you show off your work with the video. It’s really a good way to show off all of the angles of your projects. Thank you for augmenting your site with it. I’m also looking forward to the final Gruntz game. I’m thinking of investing in 15mm, and your site is the major reason why. Thanks! Thanks for the comments. Hope it helps with any of your own projects.